On Wednesday, January 28 I met Federico Hernandez, the organizer of the upcoming Puerto Rico Food and Rum Festival along with MOR member Rumelier. 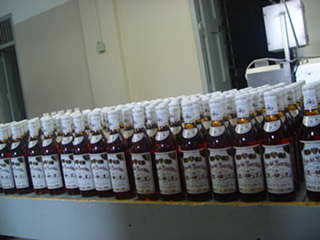 We had scheduled a tour of the Ron del Barrilito facility as well as the Bacardi plant. Here is an account of the Barrilito tour. We arrived just after 10 AM. Federico drove right up to the production building. The doors were open and we walked into the bottling room where workers were busy boxing up a recent bottling run. Federico asked if Don Fernando Fernandez, the third generation family owner was available. A worker pointed up to an open loft “office” where Don Fernando was seated at a modest desk. Federico announced we had arrived for our tour. Don Fernando arose from his desk and leaned over the railing and said with a half smile, “This is it!” He came down from his office and we were introduced and exchanged the customary pleasantries that are part and parcel of Puerto Rican life. After chatting a bit, Don Fernando had the chance to size up Rumelier and I and we were invited to tour the blending and ageing room. The excise tax man was instructed to open the heavy metal doors. As we entered we were hit by a wall of warm humid air that smelled delicious and wrapped around you like a warm blanket. 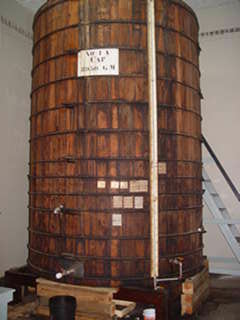 The blending room consists of one medium sized wooden blending vat. 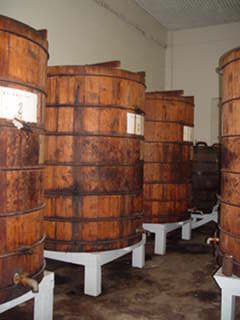 Three smaller wooden maceration vats. And a series of small stainless steel and food grade plastic tanks marked numbers one through ten. After some extended conversation Don Fernando confirmed that the base rum is bought from Bacardi and that indeed 10 ingredients are used in making the blend that becomes Ron del Barrilito. It was indicated that in the blending vat mechanical mixing and aeration takes place. The ageing rooms flank either side of the blending room. Small doors open to both of them. 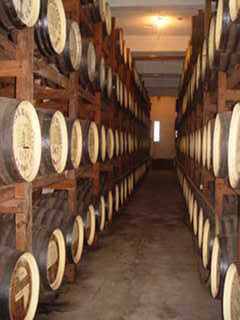 Here large beamed racks hold 132 gallon oak barrels that formerly held Spanish Sherry. The racks are stacked to carry the barrels four to five high. I could see various engravings on many of the barrel heads holding names of Sherry Houses that have long since vanished. The barrels are never moved from the racks unless they are in need of coopering. The rum is pumped in and out as needed. We were then shown the shipping room where boxed cases await to be sent. This is also the receiving room where a large stainless steel tank is located to receive the incoming rum. There is a small plate and frame filter located there and it was indicated that the incoming rum receives a light filtering before proceeding to the blending room. The only other filtering Barrilito receives is upon bottling in what appears to be a series of canister type filters. Ron del Barrilito is not chill filtered and will haze if refrigerated. No tasting was offered, and we did not presume to ask for one. 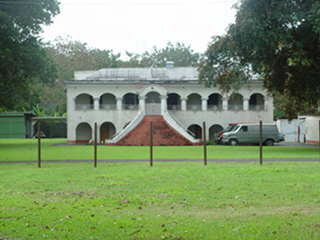 In response to an inquiry as to purchase on site, Don Fernando indicated that a three pack of Three Star could be had for $US36.00 plus sales tax. Rumelier and I quickly took him up on that offer. While a worker gathered our three packs Don Fernando hand wrote our bills and made change from his pants pocket cash roll…down to the last cent. Business is business he exclaimed! As our tour was winding down, I asked Don Fernando which version of Ron del Barrilito he liked the most and how he took it. With a smile he said the Two Star. He explained that he enjoys one or two Three Star’s in a snifter at the end of a day. But for a long session of dominos it is the Two Star poured over a glass of ice with a twist of lemon peel. My words cannot begin to express my admiration for Don Fernando. He is a soft spoken and gentle man. Strongly proud of his family and his product while maintaining a genuine modest demeanor. 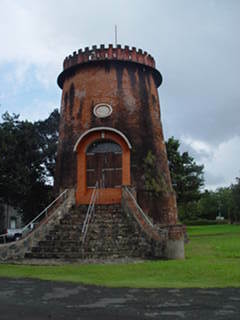 We exited the production facility and were allowed to tour the grounds, viewing the family home Hacienda Santa Ana, the windmill tower, and the garage behind the Hacienda where a collection of antique cars in varying conditions are housed. What a wonderful tour. My thanks go to Federico for helping to make it possible. And to The Rumelier for making arrangements for our next tour at Bacardi. An account of that tour in a separate post.